This entry was posted in automatic, Citizen automatic chronograph, Citizen chronograph, hi beat, vintage Citizen and tagged automatic vintage citizen chrono, Chronograph, citizen 8110, Citizen 8110A, citizen automatic, citizen automatic chronograph, citizen calbre 8110a, citizen chrono 8110a, citizen vintage chronograph, fly back citizen chronograph. Bookmark the permalink. I have this watch but with missing hands and hairspring. I could attach pictures of it if you can share your email-id. I would like to know if there is a chance to get it repaired or sell it. 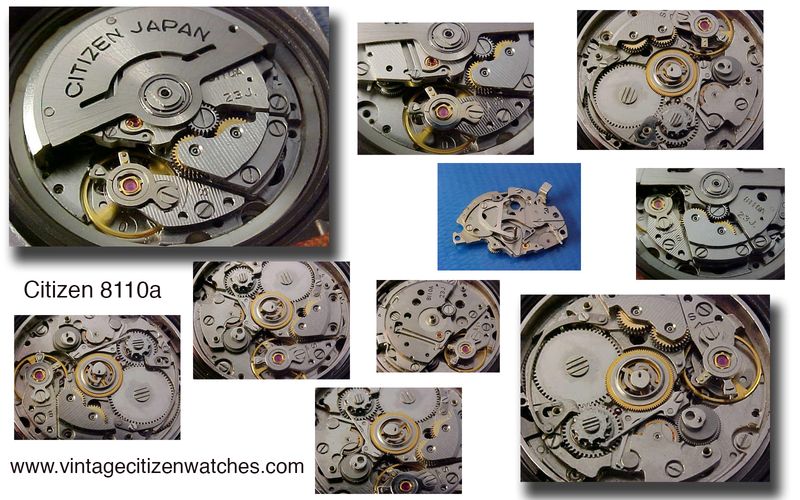 Hands and hairspring missing… hard to find original parts. You could sell it for parts. I just got one of these to go with my Seiko Bullhead ! and thanks for your site as I thought the day wheel was not functional and, Voila ! now I can read the date in Kanji ! Thanks again….